This is a die-cut French-Bauer Ice Cream porcelain sign. This particular French-Bauer Ice Cream sign is blue and white with red, white, and blue print. 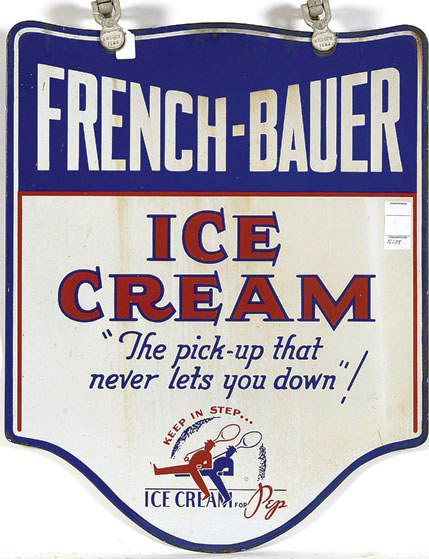 It reads, “French-Bauer Ice Cream, The Pick-up That Never Lets You Down!, Keep in Step, Ice Cream for Pep” and features red and blue men carrying spoons at the bottom of the sign.